Neuro-linguistic programming (NLP) is a psychological approach that involves analyzing strategies used by successful individuals and applying them to reach a personal goal. It relates thoughts, language, and patterns of behavior learned through experience to specific outcomes. Proponents of NLP assume all human action is positive. Therefore, if a plan fails or the unexpected happens, the experience is neither good nor bad—it simply presents more useful information. Neuro-linguistic programming was developed in the 1970s at the University of California, Santa Cruz. Its primary founders are John Grinder, a linguist, and Richard Bandler, an information scientist and mathematician. Judith DeLozier and Leslie Cameron-Bandler also contributed significantly to the field, as did David Gordon and Robert Dilts. Grinder and Bandler's first book on NLP, Structure of Magic: A Book about Language of Therapy, was released in 1975. In this publication, they attempted to highlight certain patterns of communication that set communicators considered to be excellent apart from others. Much of the book was based on the work of Virginia Satir, Fritz Perls, and Milton Erickson. It also integrated techniques and theories from other renowned mental health professionals and researchers such as Noam Chomsky, Gregory Bateson, Carlos Castaneda, and Alfred Korzybski. The result of Grinder and Bandler's work was the development of the NLP meta model, a technique they believed could identify language patterns that reflected basic cognitive processes. Interest in NLP grew in the late 1970s, after Bandler and Grinder began marketing the approach as a tool for people to learn how others achieve success. Today, NLP is used in a wide variety of fields, including counseling, medicine, law, business, the performing arts, sports, the military, and education. Modeling, action, and effective communication are key elements of neuro-linguistic programming. The belief is that if an individual can understand how another person accomplishes a task, the process may be copied and communicated to others so they too can accomplish the task. Proponents of neuro-linguistic programming propose that everyone has a personal map of reality. Those who practice NLP analyze their own and other perspectives to create a systematic overview of one situation. By understanding a range of perspectives, the NLP user gains information. Advocates of this school of thought believe the senses are vital for processing available information and that the body and mind influence each other. Neuro-linguistic programming is an experiential approach. Therefore, if a person wants to understand an action, they must perform that same action to learn from the experience. Purpose and spirituality: This can be involvement in something larger than oneself, such as religion, ethics, or another system. This is the highest level of change. Identity: Identity is the person you perceive yourself to be and includes your responsibilities and the roles you play in life. Beliefs and values: These are your personal belief system and the issues that matter to you. Capabilities and skills: These are your abilities and what you can do. Behaviors: Behaviors are the specific actions you perform. Environment: Your environment is your context or setting, including any other people around you. This is the lowest level of change. The purpose of each logical level is to organize and direct the information below it. As a result, making a change in a lower level may cause changes in a higher level. However, making a change in a higher level will also result in changes in the lower levels, according to NLP theory. A core concept of NLP can be summarized by the saying, “The map is not the territory,” because it highlights the differences between belief and reality. It points out that each person operates within their own perspective rather than from a place of objectivity. Proponents of NLP believe everyone’s perception of the world is distorted, limited, and unique. A therapist who practices NLP must therefore understand how a person in treatment perceives their “map” and the effect this perception may have on that person’s thoughts and behavior. An individual’s map of the world is formed from data received through the senses. This information can be auditory, visual, olfactory, gustatory, or kinesthetic. NLP practitioners believe this information differs individually in terms of quality and importance, and that each person processes experiences using a primary representational system (PRS). For an NLP therapist to work effectively with a person in treatment, the therapist must attempt to match that individual’s PRS to use their personal map. NLP practitioners believe it is possible to access representational systems using cues, such as eye movements. NLP therapists work with people to understand their thinking and behavioral patterns, emotional state, and aspirations. 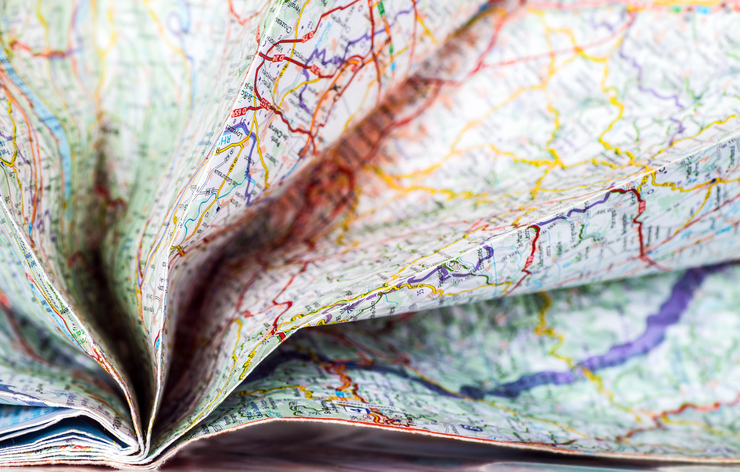 By examining a person’s map, the therapist can help them find and strengthen the skills that serve them best and assist them in developing new strategies to replace unproductive ones. This process can help individuals in therapy reach treatment goals. Supporters of NLP claim the approach produces fast, lasting results and improves understanding of cognitive and behavioral patterns. NLP also seeks to build effective communication between conscious and unconscious mental processes to help people increase creativity and problem-solving skills. Some advocates of NLP compare the approach to cognitive behavioral therapy (CBT) but assert positive changes may be made with NLP in less time. Though limited in number, scientific studies have investigated the effectiveness of NLP as a treatment method. In a 2013 study, researchers investigated whether the language and visualization techniques used in neuro-linguistic programming would help children with special education needs be better prepared for learning in the classroom. Researchers concluded NLP techniques helped the children develop a positive state of mind conducive to learning. However, it was also explained that these were "brief, tentative conclusions." In addition to other limiting factors, the sample consisted of only seven children. NLP practitioners claim eye movement can be a reliable indicator for lie detection. In 2012, researchers tested this claim in a series of three studies. In the first study, the eye movements of participants who were telling the truth or lying did not match proposed NLP patterns. In the second study, one group was told about the NLP eye movement hypothesis while the control group was not. However, there was no significant difference between both groups after a lie detection test. In the third study, the eye movements of each group were coded at public press conferences. Again, there was no significant difference in eye movement between them. A systematic review of the impact of NLP on health was conducted by researchers in 2012. In this review, ten studies addressing issues including substance abuse, anxiety, weight management, morning sickness, and claustrophobia were evaluated. The researchers concluded that while strong evidence did not exist of NLP being ineffective, there was little evidence to suggest NLP interventions improved health. Due in part to its eclectic nature, neuro-linguistic programming is difficult to define as a treatment modality. The most significant limitation of neuro-linguistic programming is arguably a lack of empirical evidence to support the many major claims made by proponents. While numerous testimonials praise the approach, there have been few scientific studies to date providing firm, unbiased proof that it is an effective mode of treatment for mental health issues. NLP co-founder Richard Bandler has often voiced disagreement with the scientific testing of NLP. Additionally, the lack of regulation in training and certification has resulted in many individuals becoming NLP practitioners despite lacking credible experience or a background in mental health.